Waukesha County Business Alliance | Advocate. Develop. Network. Promotion. The Alliance announced the eight winners of its Emerging Leaders of Waukesha County awards program. The Waukesha County Construction Alliance serves as a platform for construction and skilled trades companies to share ideas, encourage innovation and target new talent. 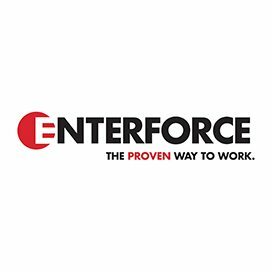 How are we addressing the workforce shortage in 2019? As a private, member-driven organization, the Waukesha County Business Alliance has been the voice of business since 1918. We have a broad and diverse membership representing everything from sole proprietorships to some of the largest employers in the region from a variety of industries. We work to strengthen the economy in the county through four pillars: advocate, develop, network and promote. To make Waukesha County the best place to do business. To drive economic growth in Waukesha County. on behalf of the business community. your organization and your employees. and build strong business relationships. Join us for a chat and happy hour with Nick Reistad, one of the founders of Raised Grain Brewing Co. He’ll discuss what it was like building two breweries and a brand in three short years. This annual awards program honors young professionals who live or work in Waukesha County and who are creating and inspiring a better vision for the future. Tomorrow’s leaders are taking the right steps today by building a dynamic and meaningful path that will continue to have a positive impact on the community. They are taking strides to further themselves personally and professionally by showing initiative, determination and commitment. Jens Construction is a commercial general contractor that has been serving clients in southeast Wisconsin since 1967. 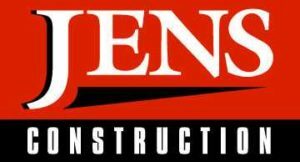 Jens offers general construction, construction management and design-build services. They have performed work in the health care, post-secondary education, industrial, commercial office and manufacturing, religious and food processing sectors. Jens’ methods of project execution are tailored to help meet the different preferences of their customers. Jens will partner with their clients to guide them through every step of the building process from project conception to design and completion.